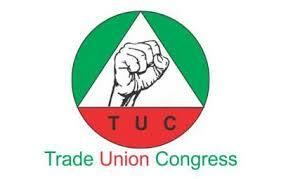 The Trade Union Congress of Nigeria has thrown its weight behind the move by the Senate to get rid of State Local Government Joint Account and also calls on the House of Representatives and the Presidency to support it. In like manner, the Congress also charges the State Legislatures to follow suit . The joint account idea was a laudable one but its implementation has been faulty. Over the years we have witnessed illegal deduction, delay in the release of funds and in some cases total diversion of local government statutory allocations by the state governors. These undue interferences have become a clog on the wheel of development at the local government level. For effective service delivery it cannot be business as usual. The original idea behind local government creation is profoundly to bring governance closer to the people through effective supervision of the distribution and efficient management of revenue accruing to the local government councils from the federation account. Unfortunately, rather than being a vehicle that should drive rural development, the governors take advantage of it to make some unnecessary deductions thereby, denying the people at the grassroot basic amenities. The Congress supports the financial autonomy of the local government because of their role towards national economic development. This should not be taken for granted as it contributed about 12% to public expenditure before oil become the mainstream of revenue sources to the federation. The councils are incapacitated to discharge their constitutional mandates and this is traceable to the unjust treatment meted to them by the state governments. We demand that this laudable recommendation be embraced immediately. The state governments have so much money within their reach hence they are so much involved in the politics of do or die. Even with their security votes many governors still have nothing to show yet they can not remove their eyes from local government funds. Further encroachment into the exclusive preserves of the Local Governments must stop now.This senate decision deserves commendation.